Home » Is a Horizontal Radiator the Right Choice for Your Room? Is a Horizontal Radiator the Right Choice for Your Room? Even during summer months, temperatures can still be a little chilly in the UK. Radiators are a staple in every room in the home and can often add a great finishing touch to the aesthetic of a room. If you’re considering changing the décor of a room in your home, why not consider changing your current radiator model? This is often an easy way to add a unique stamp to any room. It also offers you the opportunity to give your heating system a stylish new upgrade! With radiator styles constantly changing and improving, we thought it would be useful to take a look at the different designer radiator models available on the market. Designer radiators are capable of adding an artistic flair to any room and are a far cry from the classic model that so many of us are used to seeing. Here, well take a closer look at both horizontal and vertical radiator models. This will hopefully give you a better idea of which model is right for you and which model will suit the space you are thinking of remodelling. Modern radiators now come in all shapes and sizes, so there is often an easy solution to your heating demands. In fact, when it comes to selecting the perfect radiator for you, there are two main options to choose from. The first is a vertical radiator model. As you would expect, vertical radiators stand upright and aim to emit heat right into the central space of a room. This radiator model is typically tall enough to be seen, so provides an easy opportunity for people to play around with colour and style. 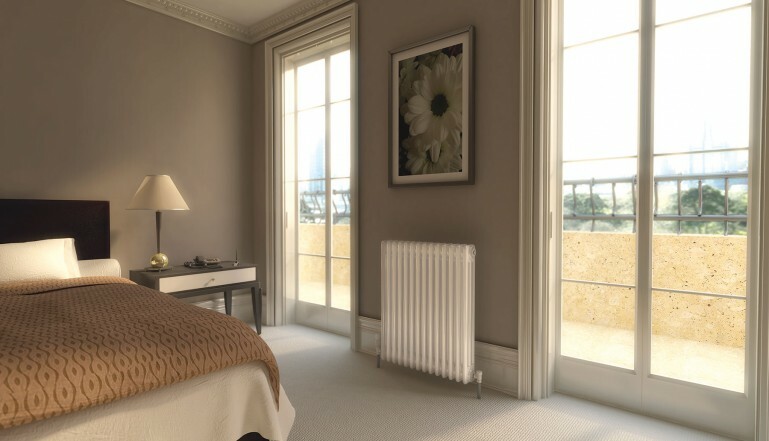 There are a number of options when it comes to selecting the perfect designer radiator. Also, a vertical radiator can easily become a beautiful, stand-out feature. Plus, the slender profile of a vertical radiator makes them perfect for smaller spaces. You will typically find them in kitchens and bathrooms. A horizontal radiator is a more traditional option and this model generally stretch out over a few feet. This radiator releases heat in a much more broader fashion. Typically, you’ll see a horizontal radiator beneath windows to help counteract the cooler air temperature. This also helps to lessen the amount of wall space your radiators take up in each room. If you opt to position a horizontal radiator in other parts of a room, they can easily intrude on furniture placement. Just think, if you place a sofa in front of your radiator, this would block the vast majority of heat from entering the space. If you’re looking for something simple, yet elegant, a horizontal radiator could be the perfect option for you. Just remember to size everything first, so you can be 100% sure your horizontal radiator models will comfortably fit in your space and not obstruct any of your furniture. Looking at a new heating system? Let us know which radiator model you prefer in the comments section below.